Children up to 16 years old ski free on Saturdays!!! If one adult buys a 1-day or afternoon pass at list price, 3 children aged 6-15 receive an identical pass free of charge. All children in the same family travel free (proof of family relationship required). The same offer applies to sports gear: when an adult hires equipment at an Intersport Rent-Network shop, children are kitted out free. WiFi available free of charge throughout the hotel. Jungfraujoch – Top of Europe – the highest railway station in Europe. Two valleys, three mountain ranges and around 206 kilometres of perfectly prepared pistes. In the Jungfrau ski region snow fans can enjoy activities of all types and be in their element. The winter paradise by the Eiger, Mönch and Jungfrau offers skiers and snowboarders everything their hearts desire: gentle slopes, steep drops, snow and fun parks, racing tracks and powder parties. Pleasure runs and steep escarpments for skiers, adrenalin rushes for snowboarders and magical snow for winter hikers: Mürren Schilthorn, the highest altitude winter sports area in the Bernese Oberland, meets every desire of the winter sports fan. A treat is available on the other side of the slopes – Schilthorn is the most varied freeride paradise in the Jungfrau Ski Region. The golden eagle swoops down on its prey at over 300 kilometres per hour. In horizontal flight, the dove can reach up to 120 kilometres per hour. And humans? Thanks to the Tyrolean “First Flyer”, they can compete with the fastest birds. Perfectly secured in the stable harness, 4 people whiz along the 800 metre long steel cable from First to Schreckfeld at up to 84 kilometres per hour. In some places, they hover approximately 50 metres above the snow. Even the golden eagle would be envious. Prices: Weather permitting, this is free during the winter season for holders of a valid Jungfrau or Grindelwald-Wengen Sportpass (Sportpass valid for 1 day or longer)! Flight only without rail ticket, for one flight: CHF 29.- Adults – CHF 22.- Children up to 15 years. The Junior Card is valid. Sledge trails are in Mürren / Kl. Scheidegg / Sulwald – Isenfluh – Lauterbrunnen. Marked with purple. 4.5 kilometre sledging run right next to the Lauberhorn descent: There’s nowhere else that sledgers come as close to racing drivers as here. On the challenging, carefully prepared route they can drive as tactically as racing drivers too. Which is the best racing line? How can the swing be better exploited? If you think like a fox on the Fox Run, you will hit the right tempo on the Wengernalp from the start and reach the finish at Wengen train station like a shot. Just to go back up again and do it even better next time. A well prepared crosscountry track runs from Lauterbrunnen to Stechelberg and back. Natural ice rink in Lauterbrunnen – Artificial ice rink for Curling and skating in Wengen and Mürren. Impressions from these celebrities will live on forever: An information board will include their photo, their signature and their handprint in steel as well as a personal message. It will also describe the importance of the film to their career and their memories from their time on the Schilthorn. The panels form the 007 WALK OF FAME on the Schilthorn summit, a unique tribute to the legendary James Bond films.The 007 WALK OF FAME is open daily and free of charge. The Jungfraujoch is at 3’454 meters above sea level the highest railway station in Europe. On the Jungfraujoch, you will discover a wonderland of ice, snow and rock, which you can admire from various viewing platforms, on the Aletsch Glacier or in the Ice Palace. The view extends on beautiful days from the Black Forest to the Vosges. An experience is also the train ride to Jungfraujoch, which leads through the Eiger and the monk. At the intermediate stations Eismeer and Eigerwand you can enjoy the wonderful view. straight. Return by post bus to Lauterbrunnen. Visit the George Lazenby’s only outing as Bond sees 007 tracking Blofeld to his lair in the Swiss mountains on a peak called Piz Gloria. On Her Majesty’s Secret Service was filmed on the Schilthorn mountain in Switzerland’s Bernese Oberland, where Blofeld’s ‘allergy clinic’ is now a revolving restaurant that has kept the Piz Gloria name and capitalizes on its Bond fame. Visitors can see an interactive Bond exhibition, watch clips from the film in a mountaintop cinema and pass by messages and hand-prints from the film’s stars on a 007 Walk of Fame. Blofeld’s ‘allergy clinic’ is now a tourist attraction. You can also check Grindelwald where the movie Star Wars Episode III: Revenge of the Sith was filmed. 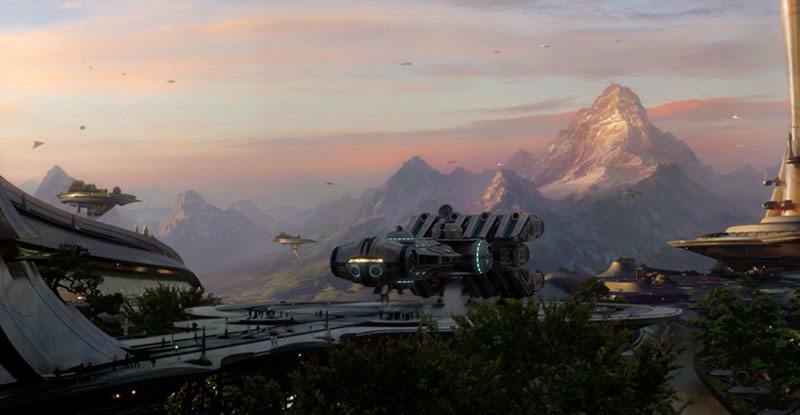 For the backdrops on planet Alderaan, actual photography of the mountains of Grindelwald was digitally enhanced. Touching the Void (2003) – Though a true story of a climbing accident in the Peruvian Andes, much of this film was actually shot in Switzerland, again in the beutiful Jungfrau region. Lauterbrunnen is situated in the middle of the Jungfrau Ski Region! You are only a short train ride away (included in the skipass) from some great skiing! There is a beginners and childrens slope with a small lift in Lauterbrunnen! (At Camping Jungfrau). The train station is within walking distance, only 4 mins away. A “plus”, by staying in Lauterbrunnen, the choice is yours, Männlichen/Kl. Scheidegg or Winteregg/Mürren/Schilthorn. How lucky can you get? The charming, historic and family-run Hotel Oberland in central Lauterbrunnen is only a 4 minute walk from the train station, and the Staubbach waterfall is close by. All rooms come with cable TV. Most also have a balcony with views of the waterfall or the surrounding mountains. Lauterbrunnen is in one of the most awe-inspiring settings in the world – ideal for summer and winter holidays. All 24 rooms are comfortable and individually decorated. All are non-smoking with private facilities, hairdryers, TV and most have a balcony with superb views. Some rooms have views to the Staubbach waterfall (illuminated at night) and to the Jungfrau. Free 24 hour WIFI throughout the hotel and free tea and coffee making at sitting room on the 1st floor. 1 – 9 pers. from 10 pers. 1 – 9 pers. from 10 pers. 1 – 9 pers. from 10 pers.